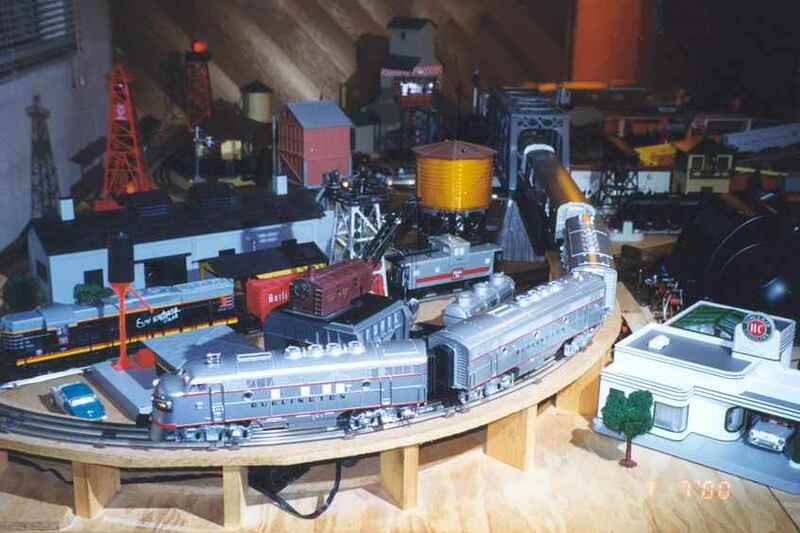 Though many of our members are collectors of trains, "operating" is our middle name. 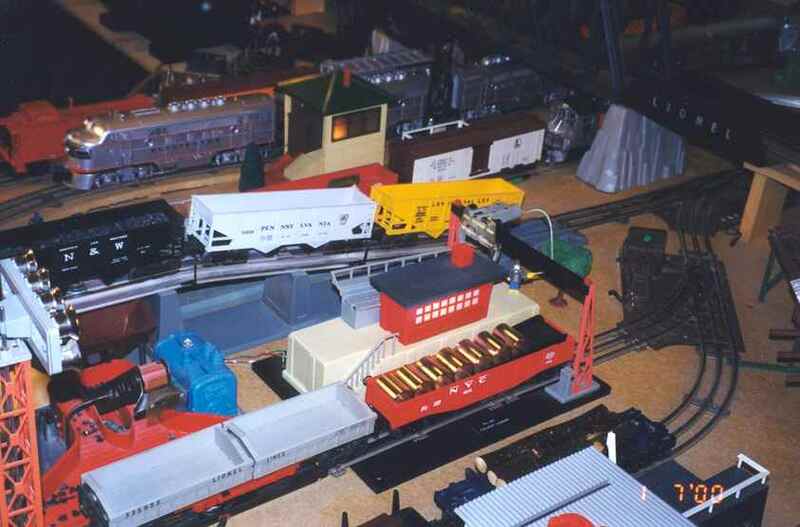 Building a layout needn't be a huge project: many member's simply lay tracks on their carpet and run their trains. 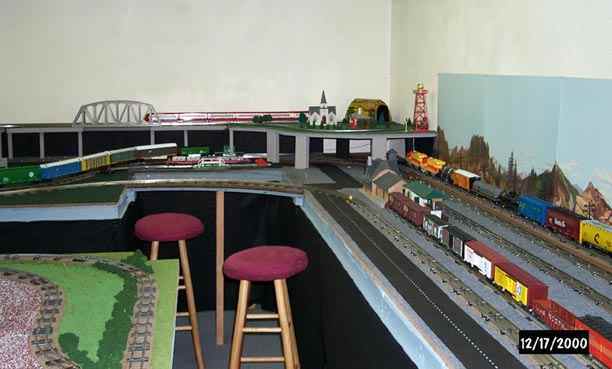 Other's have constructed huge layouts in converted garages or basements for their operations, complete with scenery so detailed the eye is easily fooled. 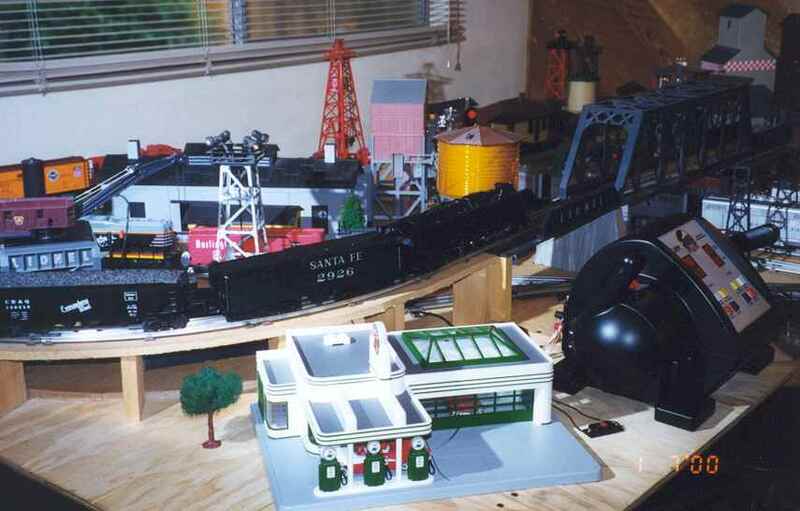 In our club, a layout is what you make of it: simple, complex, seasonal, or modular. The only theme in common is fun! 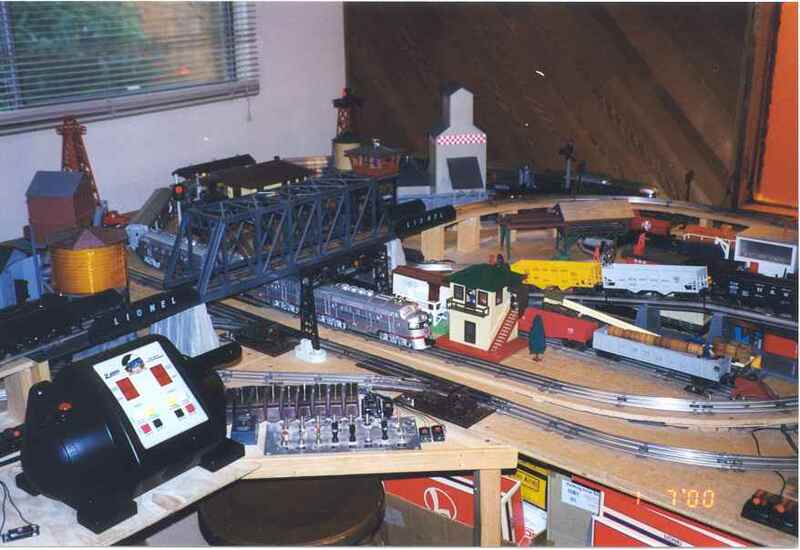 The Division recently assisted a fellow member in building a model railroad layout. 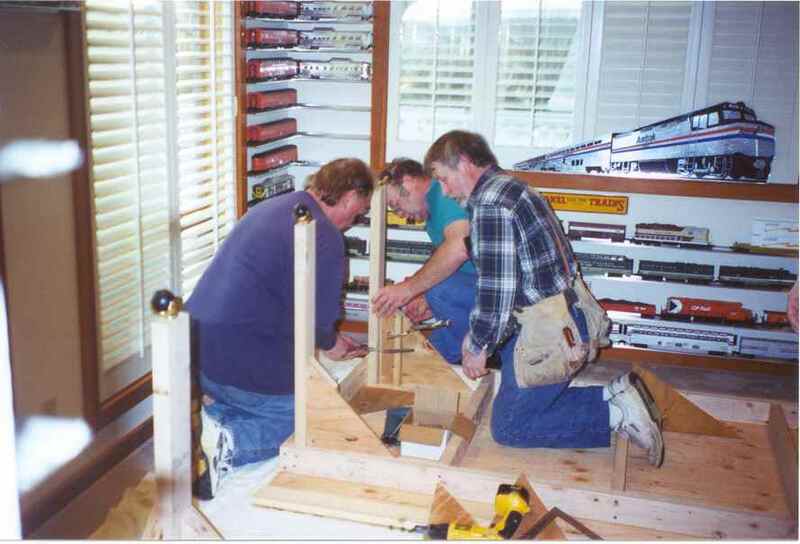 Here are some pictures from the various building sessions. 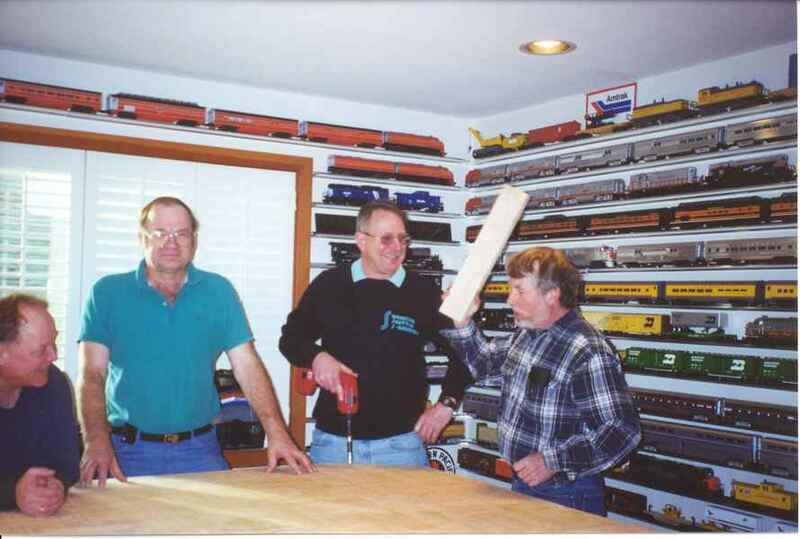 Member Tom Regelein has operated model trains for years, and has been instrumental in assisting new members to develop their collections. 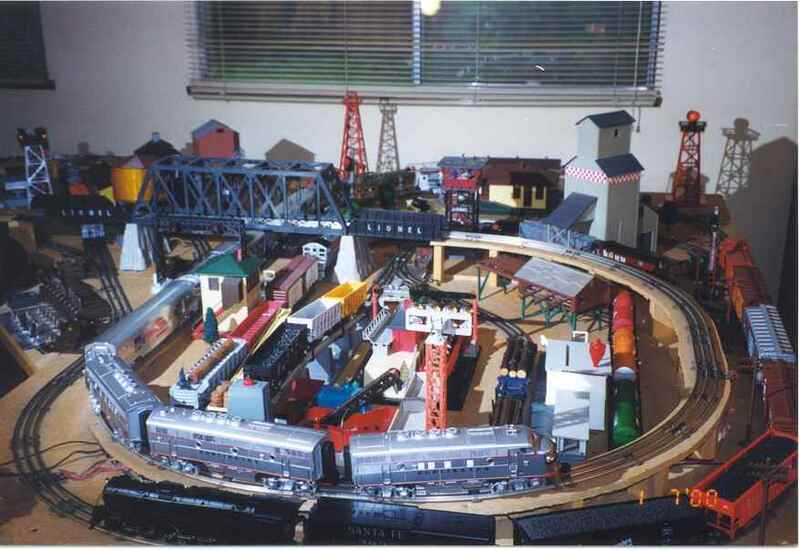 His layout has changed over the years, and was recently expanded to almost double the available space. 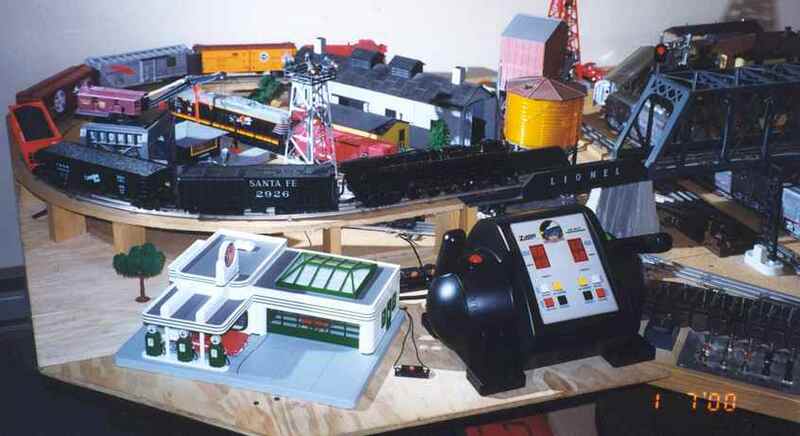 Tom is an avid operator, and enjoys accessories of all kinds. 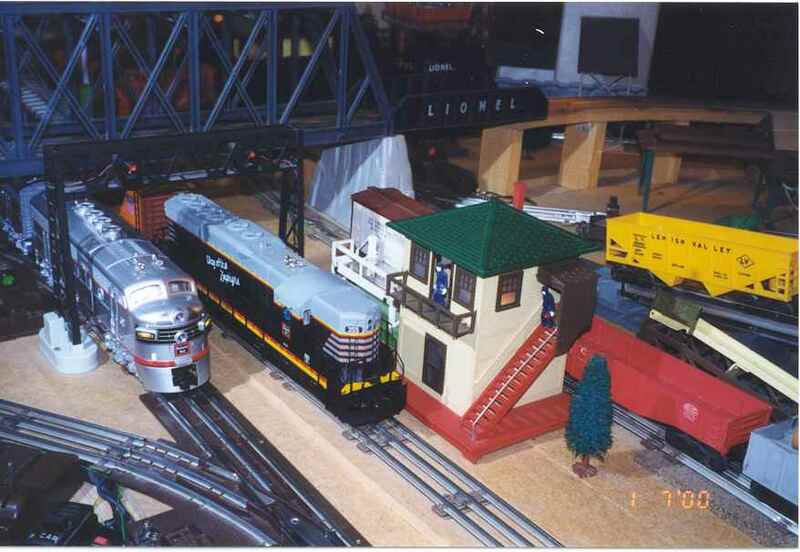 In 2000, work began on the Division's club layout, located at 185th and Tualatin Valley Highway in Aloha, Oregon. 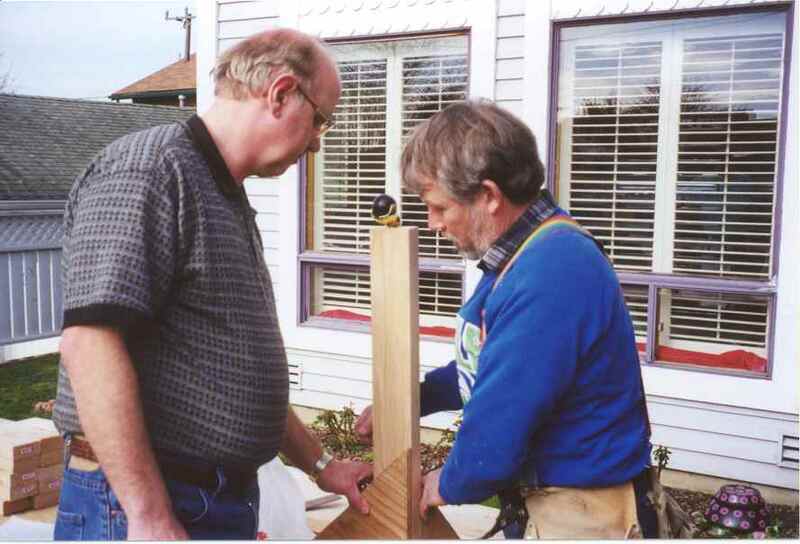 The site location was donated, and is shared with the Portland chapter of the TCA. 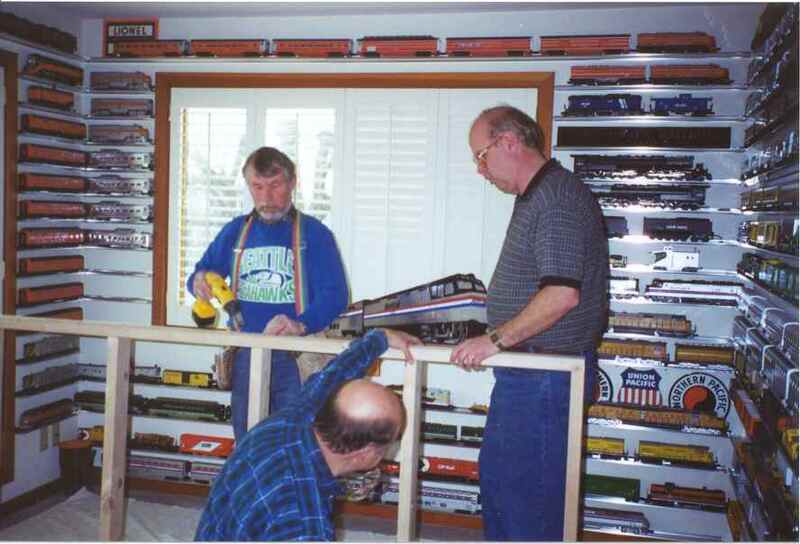 Operating expenses for the club are shared between the two clubs, and members are free to visit the clubhouse anytime to run their trains. 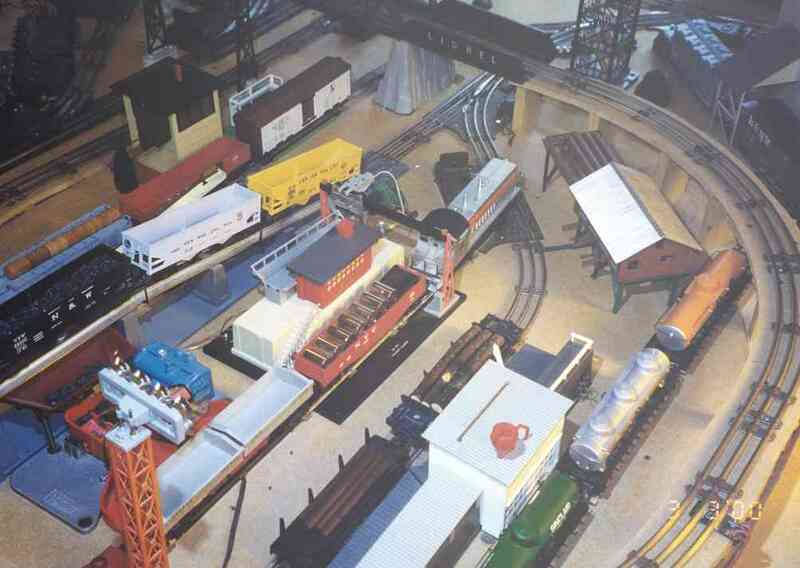 Much of the material used in the construction of the layout has been donated by members. 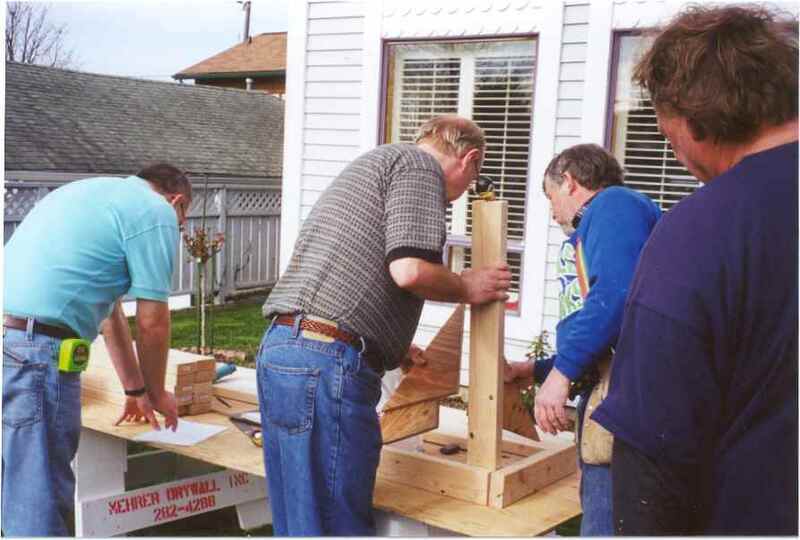 All donations are tax deductible, so if you have materials or time, donate! 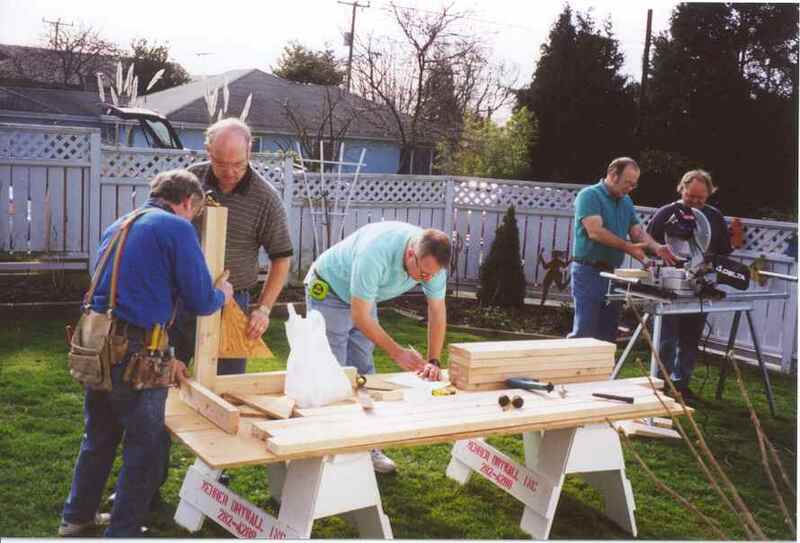 Contact our President for more information on visiting the club and our hours of operation. 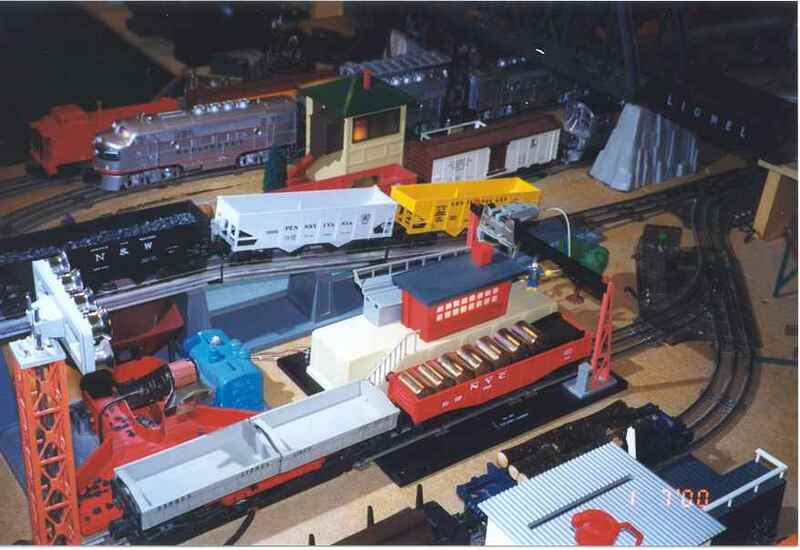 If you would like to assist in the planning, construction, or join in operating this layout, contact the current Division President for more information. 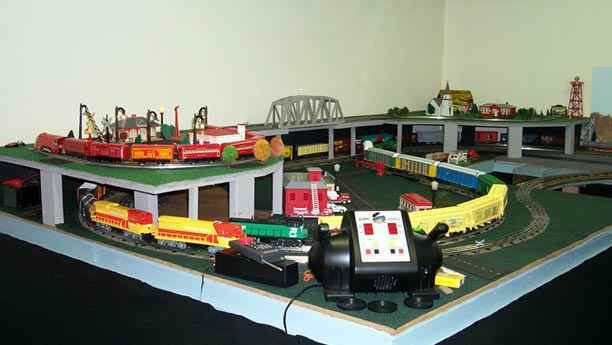 The Division also accepts donations of materials to be used for the construction of this layout. 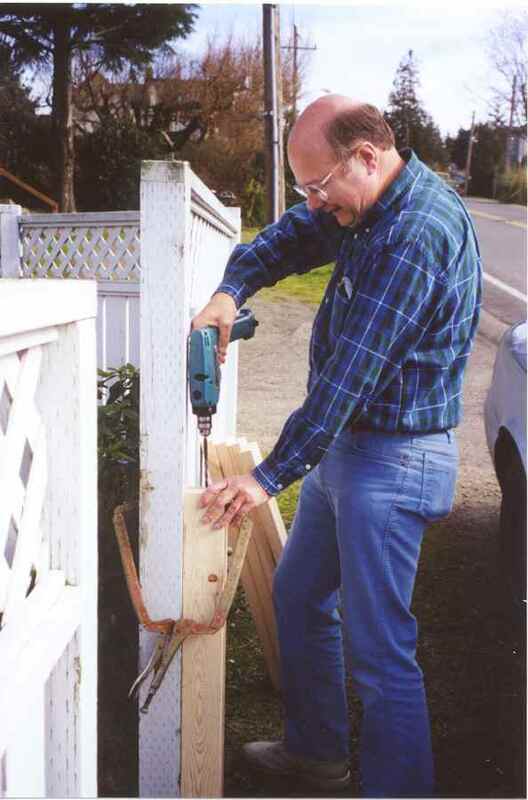 For a current listing of needed materials, contact the President. Driving directions from the north: Merge onto I-5 S. Take the I-405 exit towards BEAVERTON/US-30 W/ST. HELENS/OCEAN BEACHES (0.4 miles), merge onto I-405 S. (1.9 miles). 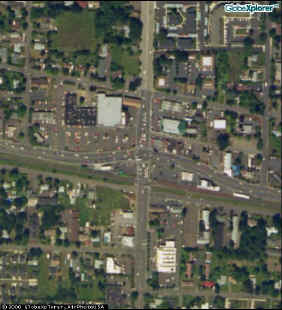 Take the US-26 W exit, exit number 1D, towards BEAVERTON (0.4 miles), merge onto US-26 W. (4.4 miles). Take the OR-217 S exit, exit number 69A, towards BEAVERTON/TIGARD (0.5 miles), merge onto OR-217 S. (1.2 miles). 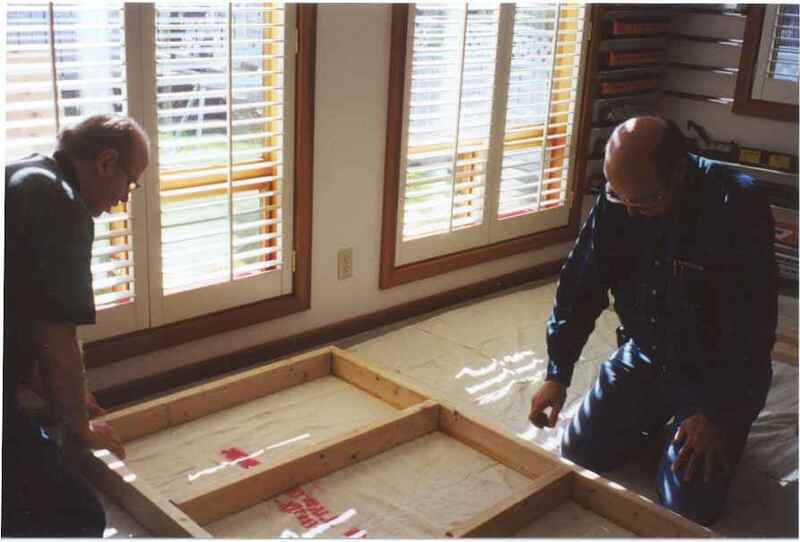 Take the OR-8/CANYON RD./OR-10 exit, exit number 2A, towards BEAVERTON (0.2 miles). Turn RIGHT onto SW CANYON RD/OR-8 (1.1 miles). SW CANYON RD/OR-8 becomes SW TUALATIN VALLEY HWY/OR-8. Driving directions from the south: Merge onto I-5 N. Take the OR-217 exit, exit number 292, towards TIGARD/BEAVERTON (0.2 miles), keep RIGHT at the fork in the ramp (0.1 miles). Merge onto OR-217 N. (5.3 miles). Take the OR-8/OR-10/CANYON RD. exit towards BEAVERTON. (0.2 miles). Turn LEFT onto SW BEAVERTON HILLSDALE HWY/OR-10 (0.4 miles). SW BEAVERTON HILLSDALE HWY/OR-10 becomes SW FARMINGTON RD/OR-10. Turn RIGHT onto SW HALL BLVD. (0.1 miles). Turn LEFT onto SW CANYON RD/OR-8 (0.5 miles). SW CANYON RD/OR-8 becomes SW TUALATIN VALLEY HWY/OR-8 (2.6 miles). The Clubhouse is located below the Safeway at the strip mall at 185th and Tualatin Valley Highway in Aloha, Oregon. For more information, contact the President.